Living with an Italian husband has truly taught me how to cook the classic pasta sauce. This sauce is a staple in our home and we LOVE our pasta! The key to making a fabulous sauce is allowing it to sit and simmer for at least 30 minutes. 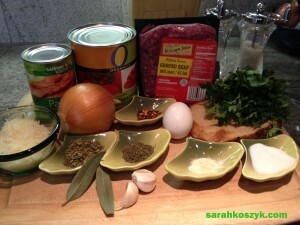 The meatballs can be made with turkey or beef. 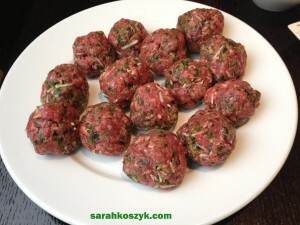 It’s fun rolling up the meatballs and very easy to do. This is a complete meal. You’ve got veggies from the sauce, carbs from the pasta, and protein from the meatball all in 1 delicious bowl! 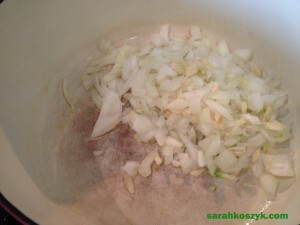 Spray a medium pot or dutch oven with nonstick cooking spray or Misto and add garlic and onion over medium heat. 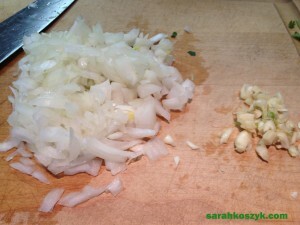 Cook until onions are translucent and the garlic is slightly browned (5 minutes). 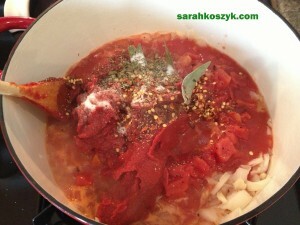 Next, add the rest of the ingredients to the pot. Cover and bring to a slow simmer. 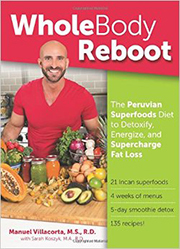 Cook for half an hour to build flavor. Remove bay leaves before serving. Meatball Directions: Heat oven to 400. 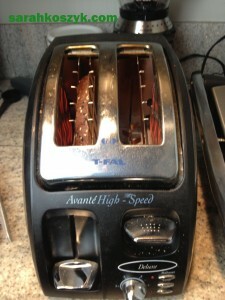 While cooking the sauce, toast the bread. 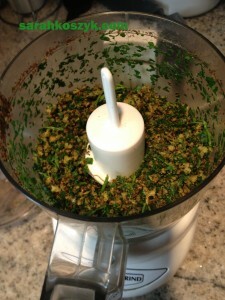 Add bread, Herbs de Provence, and salt to food processor. 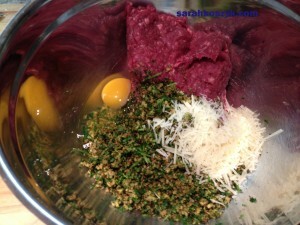 Add all the meatball ingredients to a bowl and mix well. 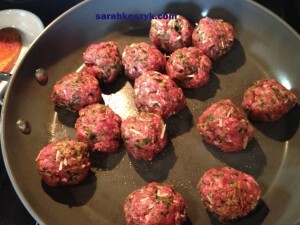 Roll meat mixture into 1-inch balls and place on a baking sheet lined with tinfoil (for easy cleanup). 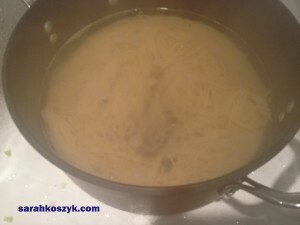 Pasta Directions: While the meatballs are cooking in the oven, boil water in a large pot. Add pasta and cook per directions on package. Drain. 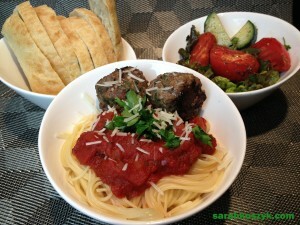 Add 2 oz cooked pasta to each bowl + ½ cup sauce + 4 meatballs. 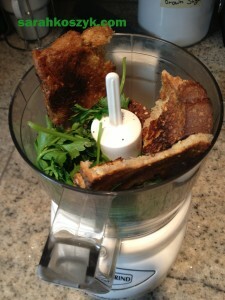 Serve with parmesan cheese if desire.